Today Apple introduced the latest addition to its Beats lineup of premium headphones: the Beats Studio3 Wireless Headphones. The Studio3 headphones differ from the existing Solo3 option in two primary ways. First, they sit over your ears rather than on them – an important distinction for prospective buyers. Second, related to the over-ear design, they include Pure Adaptive Noise Cancelling (Pure ANC), which works to shut out external noise while also optimizing audio for the precise fit of the wearer and calibrating music to top-quality. 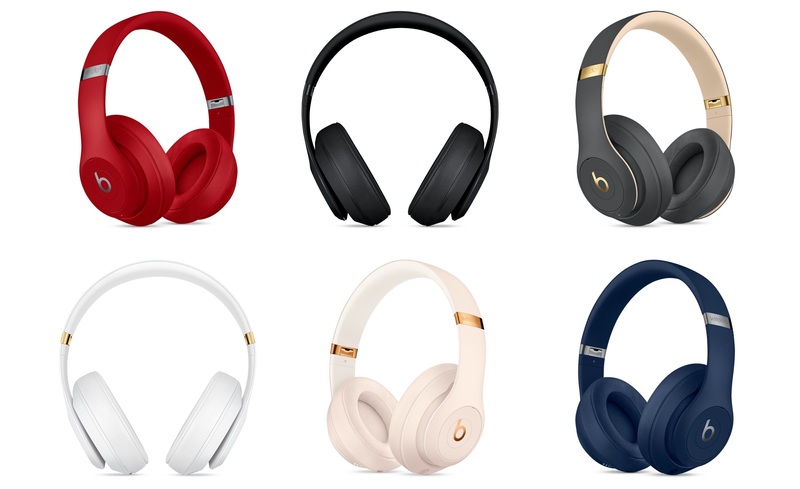 These wireless headphones join the existing lineup of Beats options that adopted Apple’s W1 chip late last year. Also seen in Apple’s AirPods, the W1 chip provides improved connectivity and power efficiency. With Studio3, the W1 chip enables battery life of up to 22 hours with Pure ANC enabled, and up to 40 hours without it. The Studio3 headphones also charge quickly, with up to 3 hours of playtime after a 10-minute charge. The last noteworthy design note is that on-ear controls allow you to control playback directly from the Solo3 hardware, enabling audio control and even Siri activation. You can order the Studio3 headphones today in a variety of colors for $349.95, but they won’t ship until mid-October.